With the increase in commercial dog treat recalls, you’re probably asking yourself what you can do to protect your dog from contaminated food. Well, one way to keep your dog safe is to make your own dog treats. 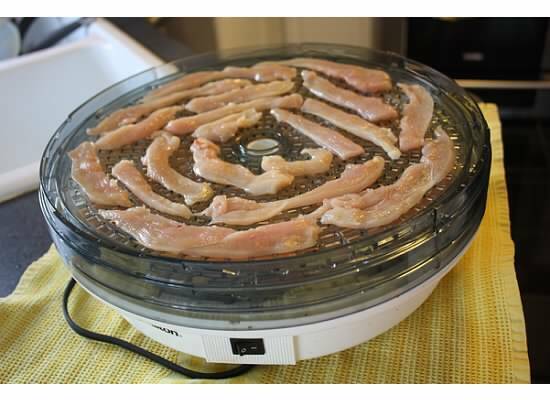 In this member-submitted post by Heather Neal (aka trifod2004), you’ll learn how to make your own healthy and safe chicken jerky dog treats. It comes as no surprise that certain commercial dog foods and treats may not always have the right or best quality ingredients for our pets. 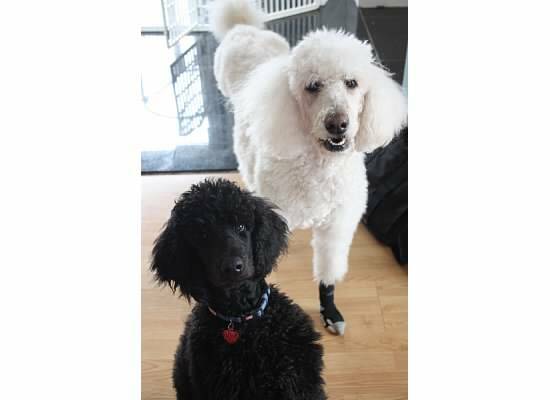 Therefore, many owners, such as myself carefully scrutinize the list of ingredients to make sure that what is going into our pets is nutritionally sound. It is especially important when your pet, like mine, has an already immunocompromised system due to an illness like cancer. After finding out about the dogs that had been allegedly sickened by chicken jerky dog treats which had been manufactured in China, but distributed in the United States, I decided to try making my own. I already had all of the necessary tools under my belt: a dehydrator, a fine set of cooking skills, sharp knives, chicken breast fillets in my refrigerator, and two hungry dogs. 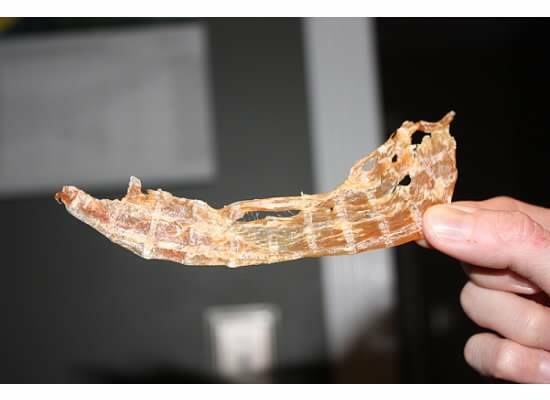 Let me begin by saying that we did try to buy chicken jerky dog treats from Costco that looked like they were made by a U.S company. In fact, I spent time looking at the label because I already had read the warnings and the recalls about the possibility of chicken jerky manufactured in China making dogs sick. The company was indeed a U.S. company. But sure enough when I got home, I saw in fine print on the back, barely discernable, that the treats had indeed been made in China. We took them back immediately! 1. I got out my dehydrator and went to work. 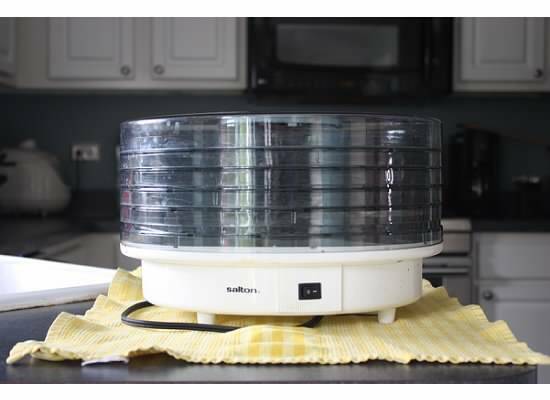 It is just a simple dehydrator with an on and off switch. 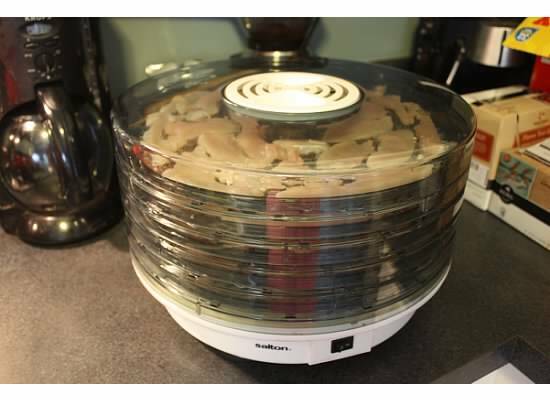 Some of the fancier ones have settings for meat and fruit and other items that can be dried. 2. I took my raw chicken breasts out of the fridge, rinsed them off and dried thoroughly. The kind of chicken I use is from a regular grocery store (or you can use organic free range chicken of you really want to get fancy). I also cut off any fat or tiny pieces hanging off the main breast. The fat can get rancid faster and spoil the meat so you want to try to have as much pure chicken breast as possible for the treat. 3. 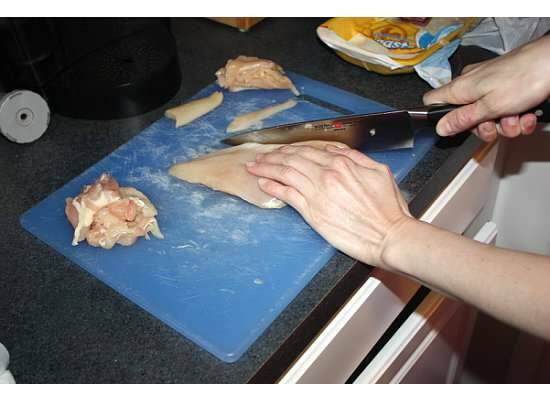 Next you want to use your sharpest possible knife and cut slices off of the chicken breast. Ideally they should be no thicker than beetween 1/8 and ¼ inch thick. Length is up to you. If you should happen to cut too thick, you can pound gently under some plastic wrap. Another tip I learned is that if you want the strips to be chewier, you should slice with the grain. I do both against and with the grain. 4. 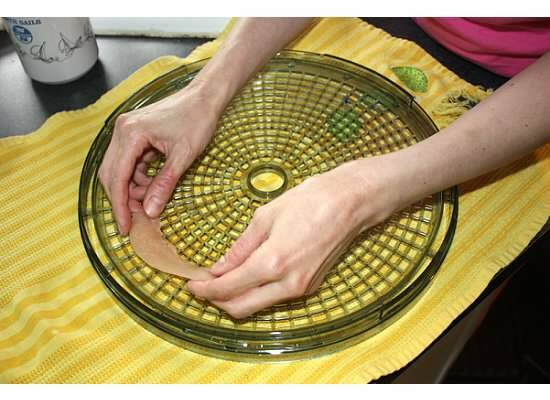 Place the strips on your dehydrator, cover, turn unit on, and wait. It’s that easy! In 6 to 8 hours, you should have paw lickin’ treats that you know will be safe and healthy for your pet. Another option is to use your oven. Follow the same instructions through step 3, and instead of placing on a dehydrator, place on a cookie sheet lined with nonstick foil. Put into a 180 to 200 degree preheated oven. Turn every two hours until 6 to 8 hours have passed. I store mine in a plastic baggie in the refrigerator because we put no preservatives in the treats. Many thanks to Heather for submitting this fantastic how-to article. 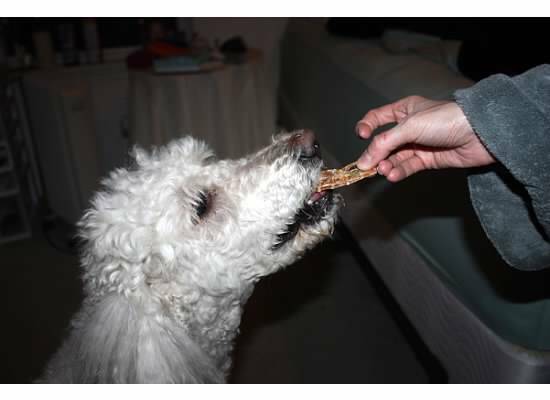 We are always hoppy to publish user-submitted content that fits within the scope of this Tripawds Nutrition Blog. If you would like to share your Tripawd’s diet tips, please contact us today for details. Such a great idea!!! Chaz and Pegz really love those things and haven’t had them in awhile due to the problems!! Guess I know what I’ll be doing this weekend!! Thanks for sharing!